Posters for this event can be sent on request, and are available for download here in jpg format: A3 size, A4 size. Prof. Goldenberg is very happy to conduct media interviews during her time in the UK. A press release with more details is here. All enquiries should be directed in the first instance to Dr Michael Marten on 01786 46 75 32. 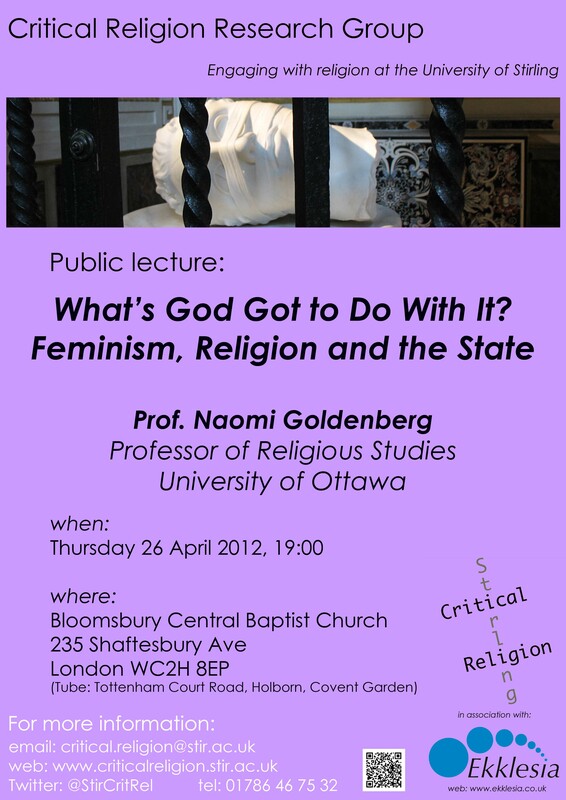 By Michael Marten in Critical Religion on 9 March 2012 .